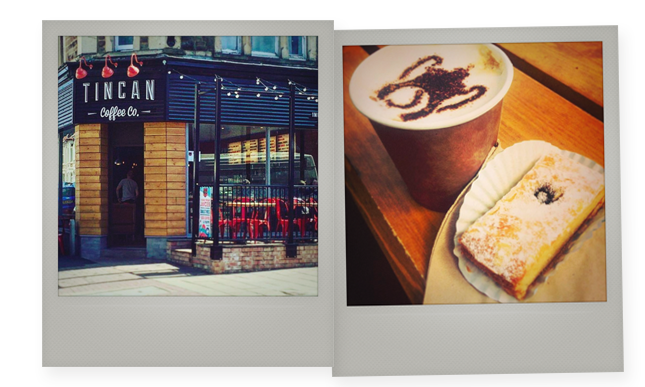 Cakesmiths Meets: Tincan Coffee Co. The wellies are ready - and so is the mud - as the UK's festival summer season kicks off. And nobody is better placed to provide tired festival-goers with coffee than Tincan Coffee Co.
Adam White - who set up the business with Jessie Nicolson - explains: "We started with a dream and one old rusty French van in 2011 and now we have a fleet of 1960s and 70s coffee trucks, lovingly restored and adapted. 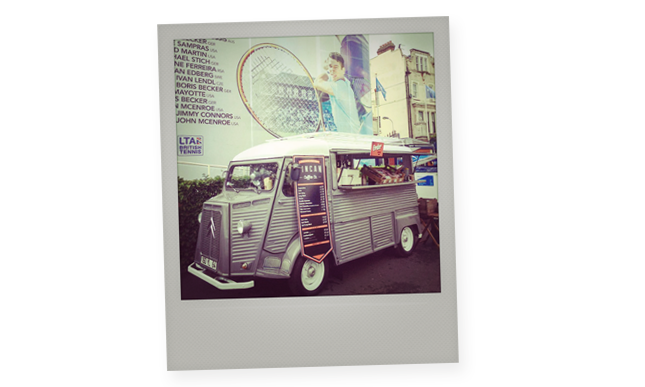 Each van has its own personality and is filled with top-end espresso equipment, bringing the specialist coffee experience to a field, or wherever the event may be." 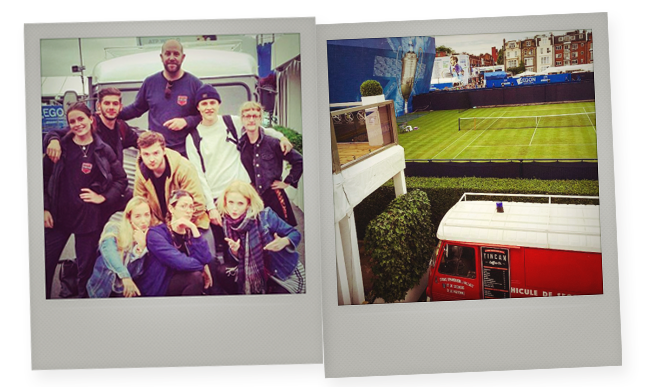 In fact, Tincan has just finished serving spectators at the Aegon Tennis Championship at The Queens Club (where Andy Murray won for the 5th year in a row) and it has lots of events lined up this summer including the British Golf Masters, Kendal Calling, Shambala Festival, bluedot Festival and Secret Garden Party. This year is a bigger one than most for Tincan though as it moves beyond its four-wheeled offering, having just opened a brand new cafe in Bristol in April. Adam adds: "Events are where we began, and will continue to be a part of what we do, but we wanted to lay down some permanent roots with the Tincan Coffee Co. Our aim is to bring specialist, seasonal coffee to the good people of Bristol, while retaining our independent spirit." "There a lots of nods to our heritage at the cafe with head lamps hanging from the ceiling and Citreon chevrons carved into the wood panels, giving the space a relaxed vibe where people can enjoy a coffee and chat with friends." 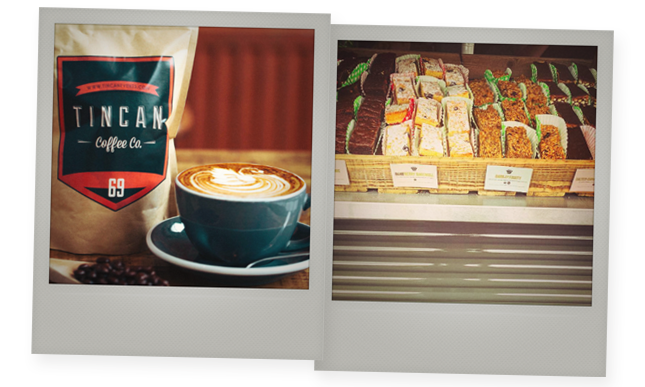 Tincan is very focused on its coffee and is stepping up the quality on offer in Bristol; serving its own, ever changing seasonal espresso blend, roasted by a local artisan roaster, Clifton Coffee. It always has a guest espresso on offer too, along with a rotating line-up of the season’s best single origin filter options. And of course, you can't forget those tempting treats that should always be served with a coffee. 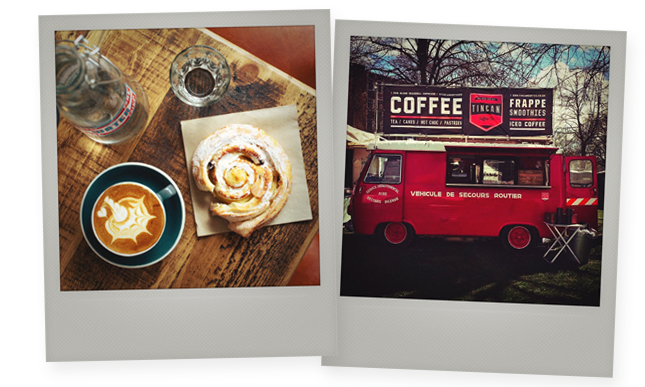 "We've served Cakesmiths cakes in the vintage trucks for years," says Adam. "So we were always going to introduce them to the cafe menu because, quite simply, they taste great. And I want to make sure my favourite Blueberry Bakewell is to hand at all times too!" So, does Adam have any words of wisdom for other people looking to expand or evolve their business? "It's all about blind belief and commitment I think. We wanted to expand the business and we just completely went for it. It's been hard work but very entertaining along the the way too, and we're excited about what the future holds."